Note: this is the follow-on to Tuesday’s Jayson Decides To Buy Some Art. Many phone calls later, I dragged a hungover Alex from his curtain-darkened living room and drove to Bordeaux, where I was distressed to discover a lack of parking owing to the attendance of many many rival bids. After mounting a curb, I made it into the auction room, and sidled my way toward the buyer-registration counter. As it turns out, Art Auctions in the frontier markets are no Sotheby’s affair, with rows of chairs and plaid-clad gentlemen holding up the artworks as their lots are called. Instead, everyone mills about in the viewing room, leaning against walls and artworks indiscriminately. At one point, I sweated on a Walter Bathiss. Which leads me neatly into: ventilation, not a priority. I tasted a lot of high net worth individual in that room, and not by choice. After I’d registered, and been given an index card with my name on it (for bid-waving, as I understand it), I found a spot to stand. Then I got told to move by the auctioneer. And then the auction started. The Big Collectors: All the lesser collectors know them by sight. You can usually spot them by all the whispering and pointing in their direction. They’re also somewhere in the auctioneer’s direct line of sight, being greeted by many admirers. The Young Couples: These can be found clinging to each other in corners. They’re here for that one piece that the new wife wants in her living room so that she can casually remark on it in conversation, to the general impressment (and later, annoyance) of her other young couple friends. The Gays in their Forties and Fifties: This is apparently what happens to gay men that have left the scene and become well-off by not having children. They wear floral print and collect Norman Catherine. The Ugly Rich: these are the bidders that all the true collectors despise. They are not here for the art, they are here for the competition: the thrill of the last minute bid that drives the price into a realm that only they can afford. It’s called “winning”, darlings, “at any cost”. They fatly position themselves right by the auctioneer podium, and will happily sit on any antique Victorian chair that happens to be close at hand. Some are doing it for the “intrinsic value” of the art, bringing the piece back to its place in the historic movements of the art world and its connection to cultural and political expression. Some are doing it because they’re collectors, and collectors value the stuff that they collect. Some are doing it to show off their wealth. Some are trying to invest in the art, based on their view of how everyone else is going to view the piece. It’s completely irrational and arbitrary, because you have people deriving their value in more than one way. The ugly rich, for example, are paying for the thrill – and that thrill seems to have more to do with the person that they’re bidding against than it has to do with the artwork itself. The parallels to the rest of the investing world seem pretty obvious… Although, when it comes to equities and bonds, you at least have significant investors that are governed by rules other than personal emotion and the desire to win. But still – hot stocks, and all that. The first lot I wanted (the Dali etching), alas, shot straight past my R2,000 limit before the auctioneer even looked up from his clipboard. There was a bidding spat between an elderly couple and someone sitting in an antique Victorian chair… So I stood back somewhat restrainedly, with my bidding card un-waved. When I found it in the catalogue, I whispered “But it’s hideous” to Alex, just loud enough that the lady in front of me turned around and glared. And when she eventually vastly overpaid for it, I understood why. This one went to the young husband and wife that were standing on my left. I felt quite sorry for the elderly couple who had tried to get all three of the etchings, and been foiled every time. 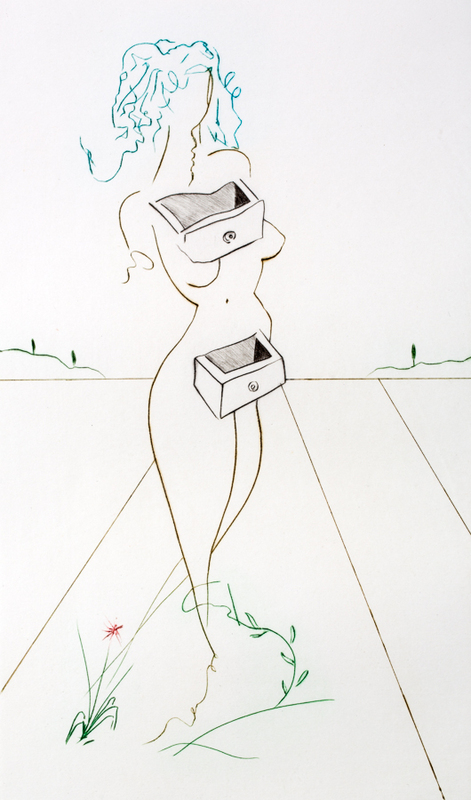 But when I looked across at the people that had just won the “Woman in Drawers”, the look on the wife’s face was just sheer delight; as though this was the best R10,000 that her husband had ever spent, and now she could tell her friends that she had an original Dali etching in her home. At this point, having not placed a single bid, I stepped outside for some air. Or, rather, I stepped out for some cigarette smoke, because that is the only type of air that they stock outside live auctions. 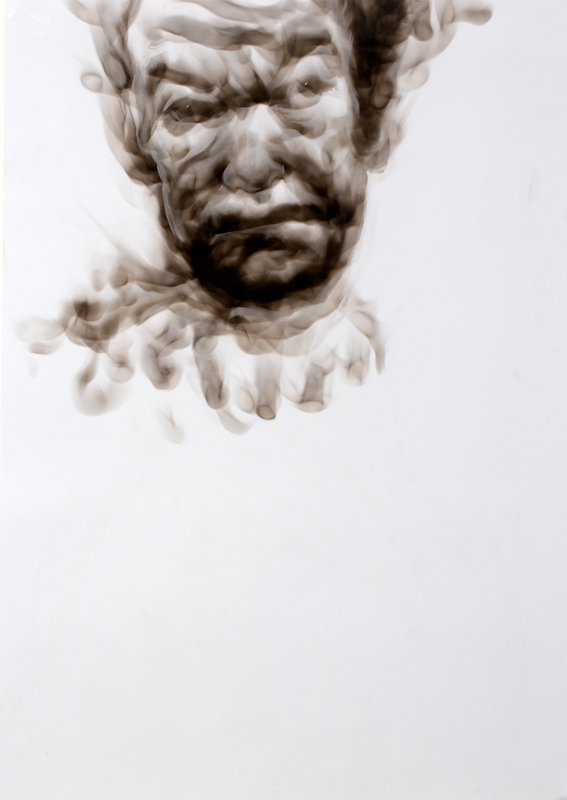 Finally, lot p99 came up: my Diane Victor smoke portrait. By the time I’d bid R35,000, all the other bidders in the room had gone silent. And then, there was a telephone bid. Of R40,000. The auctioneer offered me a bid of R45,000. Twice. I managed to resist both times (mostly by trying to calculate what R45,000 would look like when grossed up by a 15% commission), and then I left and went to Burnsides for chicken pot pie and lemon meringue. 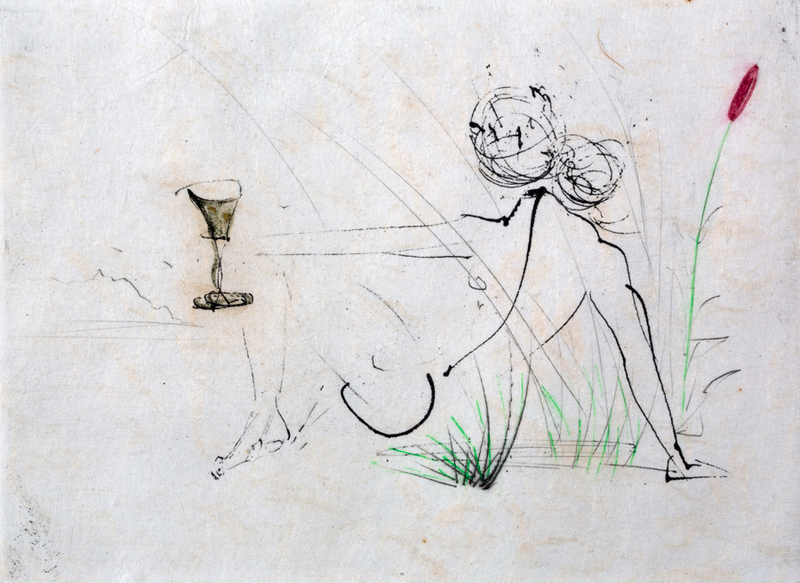 So here’s the strange thing: while I have no real regrets about the Diane Victor, the Dali etching fills me with whatever the opposite of buyer’s remorse is. Because the truth is that I am not really an art investor. 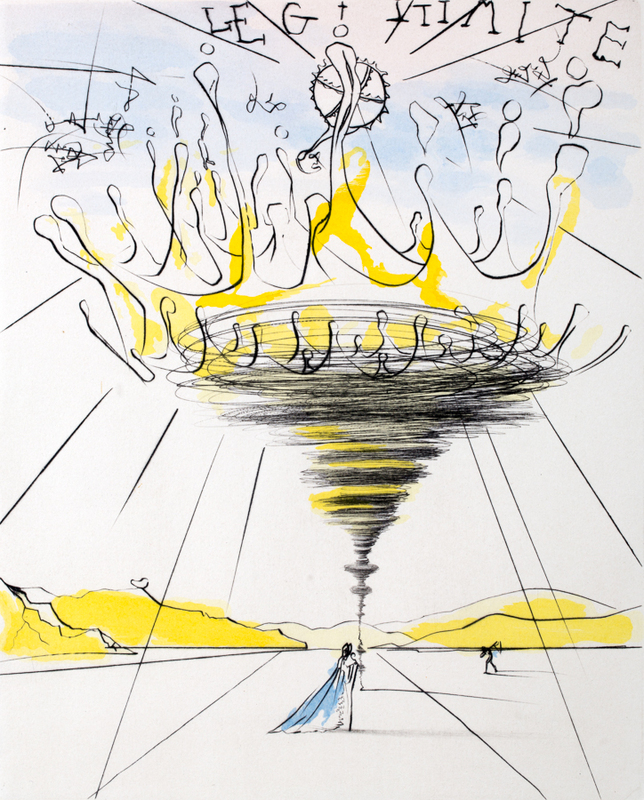 Sometimes, I just want to be that young person that owns a Dali etching, because that would give me delight and it would be the best R10,000 that I ever spent. So real art collectors, watch out. I’ve now learned that there’s a difference between art for investment and art that I want. And next time, I won’t be afraid to look like a mug when it comes to buying a Dali etching.